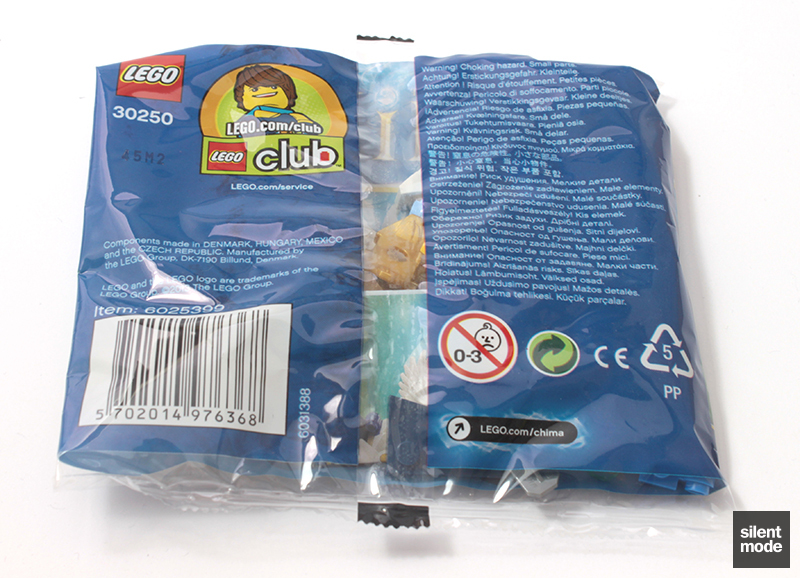 * This polybag was given away in January when spending GBP 50 or more at LEGO stores, or at Shop @ LEGO. 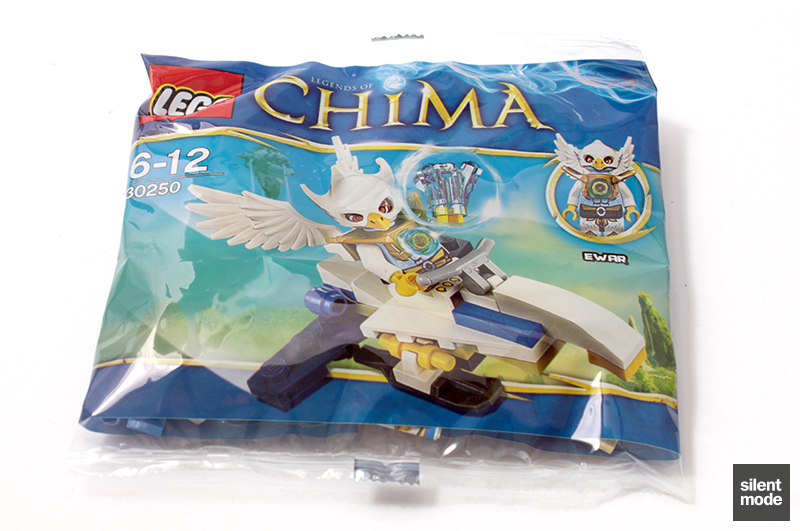 Legends of Chima is one of LEGO’s new themes for 2013, and is widely said to be this year’s replacement for Ninjago (although Ninjago will return). From the leaked information to the promotional imagery, all kinds of stories circulated about what Chima actually meant and what was in store. As it turns out it’s an animal-based theme, centred around “chi” crystals and a war to gain control of them. As with most of the other themes I have no interest in Legends of Chima, with the exception of the next wave containing gorillas. As everybody knows I don’t like gorillas at all ^_^ but it will be interesting to see what LEGO does with them – and whether people will change their tune. Something tells me, definitely. 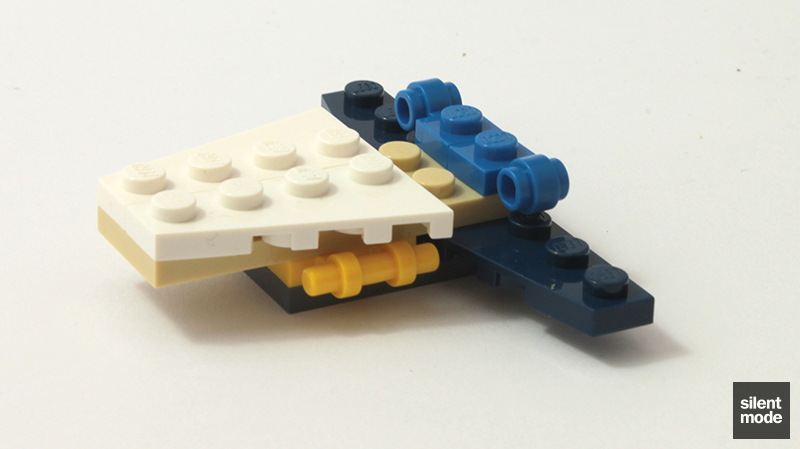 Anyhow, I managed to get hold of Ewar’s Acro Fighter on my last visit to a LEGO store, and thought I might as well review it while I had the opportunity. The front of the packet shows a proud-looking Ewar rolling around on his Acro Fighter, brandishing one of the chi crystals. The front of the pack reveals the character’s name, and you’ll notice that LEGO has a cutesy alliteration thing going on in this theme: all the characters have names beginning with the first letter of their species. There, you guys learned a new word. There’s nothing special at the back of the polybag, although we at SilentMode.tv are sad to learn that Max is still alive. Other than that, this polybag is definitely suspected to be one of the freebies in The Sun’s next polybag giveaway. On the surface it looks like a small selection of parts, and you’d be right. 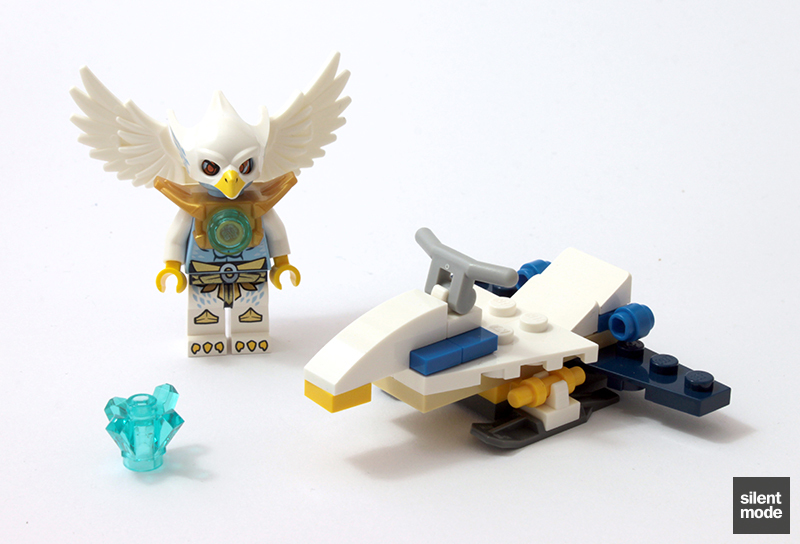 Most interesting of all are the new parts introduced by the theme, namely the minifigure parts, the bird wings and the chi crystal. Oh yes, and we have two round tiles to play with! There’s a distinct colour scheme of white, yellow and blue going on here. One of the many new parts introduced in this theme is the chi crystal, which is generally what the animals are fighting over. It looks very similar to the other crystal of the same size (unfortunately I didn’t have one to hand at the time), except that the shape is uniform: the four points are formed at 90 degrees to each other, with some being slightly longer. There’s also room on top of the crystal for a single stud. Demonstrated here is one of the round tiles mounted onto the crystal, which gives it a slightly different shape. This is Ewar, very obviously one of the protagonists (by his colours) and part of the eagle clan. We can already see the incredible detail on his printed parts, both on the front and back, which shows LEGO’s committal to the theme. A special bodywear piece provides two studs at the back of the figure, enabling Ewar to wear his wings: two separate wing pieces attached with 1×1 clip plates. It was an uncomfortably tight fit to attach the wings to the clips, but I got there eventually. If that wasn’t enough, Ewar also gets a bird-shaped headpiece to really sell you on the idea. The helmet and wings have been shaped so that both can be worn at the same time. Another space is made at the front of the bodywear for a single stud, which houses one of the round tiles. I’m not sure what purpose this serves, but it must have something to do with the crystal. So the only thing there is to build is the namesake, the Acro Fighter. …Oh all right, the yellow plate too. Although I have next to no interest in the Legends of Chima theme, I tried to keep an open mind having decided to review this set. That being said, there are a few things I wanted to say, now that I’ve had the opportunity to build it. 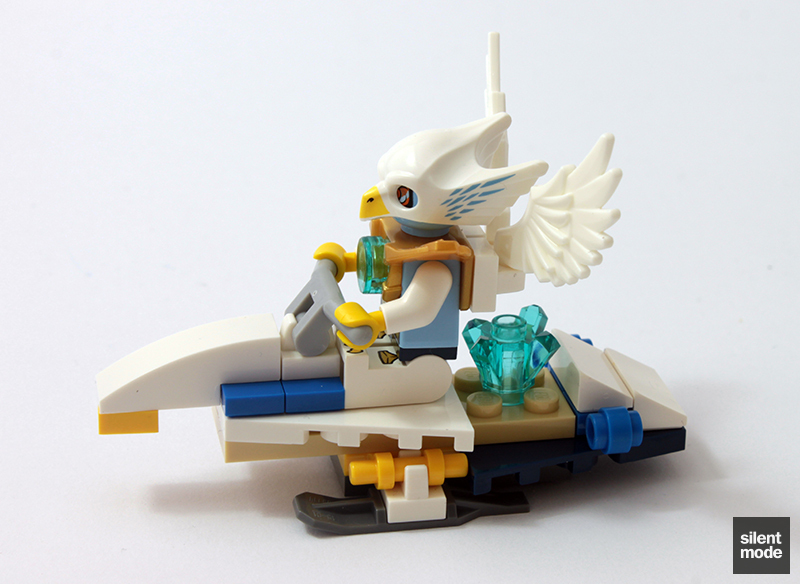 This will probably be the least expensive way to get hold of the wing parts, as well as the blue chi crystal, especially considering the prices on BrickLink and elsewhere. 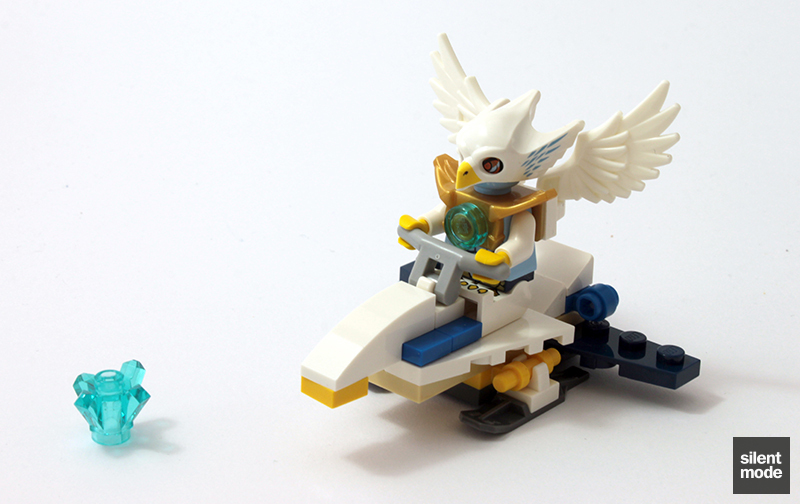 The wings were particularly interesting as they will open up new possibilities for custom minifigures, including my own. How to attach them to other figures will pose a challenge. I liked the quality of the figure, even in a humble polybag set. Given the amount of detail that went into this figure, as well as the new moulds, it appears to be more of a collector’s item than a figure to play with. As is usually the case, buying all the sets in the theme is the only sure way to collect them all, so do so while you have the opportunity. I did think that yellow hands were odd, although they are probably meant to represent eagle claws. LEGO has been teasing monofigure collectors for quite some time, by refusing to release minifigure hands in lighter blue colours: there have been some obvious examples, including with the NRG Cole Ninjago figure. While in this case the Yellow hands may be more appropriate, I think Bright Light Blue (to match the torso) would have worked just as well. Unfortunately I was a little disappointed with the Acro Fighter itself. 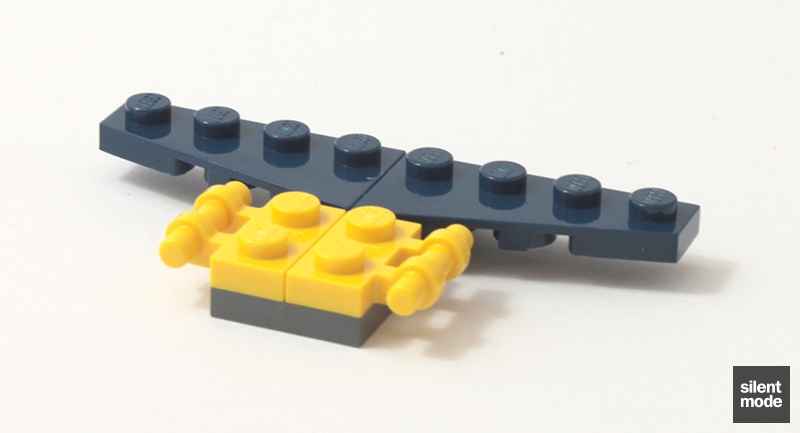 Even though they’re clichéd (especially in City polybags) I like my “swooshable” vehicles – and as hard as I tried, I just didn’t think the Acro Fighter was swooshable. 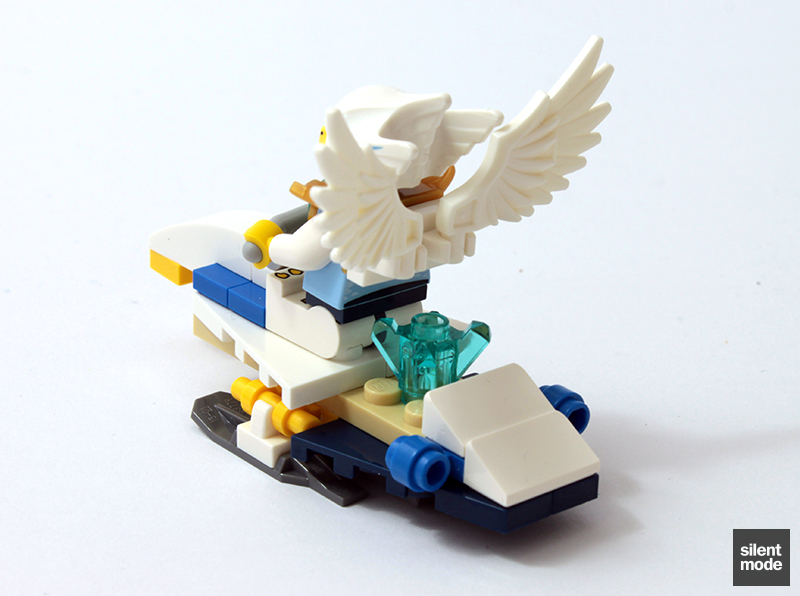 The “wings” are just too flat against the back of the vehicle for it to realistically be able to fly, as is suggested on the polybag’s front, but with the skis on the bottom it doesn’t feel like a land vehicle either. There is just something odd about it. In terms of pricing: I would be upset if I paid more than GBP 3.49, and even then it would be solely for the Ewar figure, assuming it doesn’t appear anywhere else. As there’s no official price (that I know of), I’m forced to give a score out of thin air… which will be a 5.0/10. Better to get this with a minimum spend, I think, than to go out and buy it. 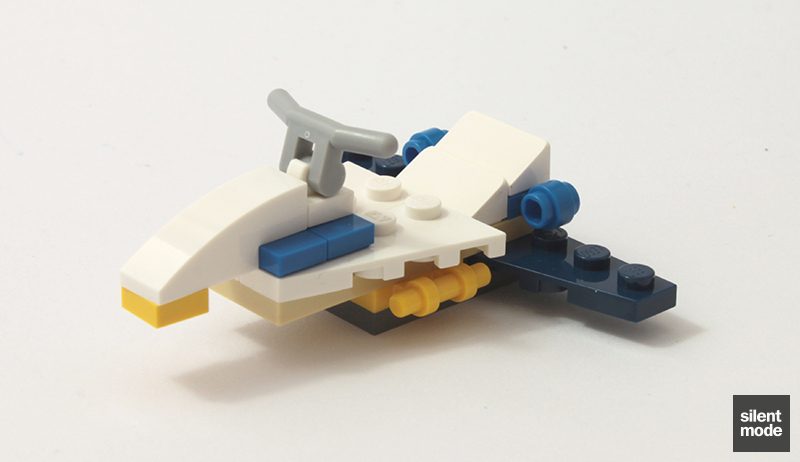 Basically I converted the Acro Fighter into a sled, which was where it seemed to be headed in the first place. by taking care of the flatness at the back of the vehicle, a space opened to store the chi crystal for transportation.